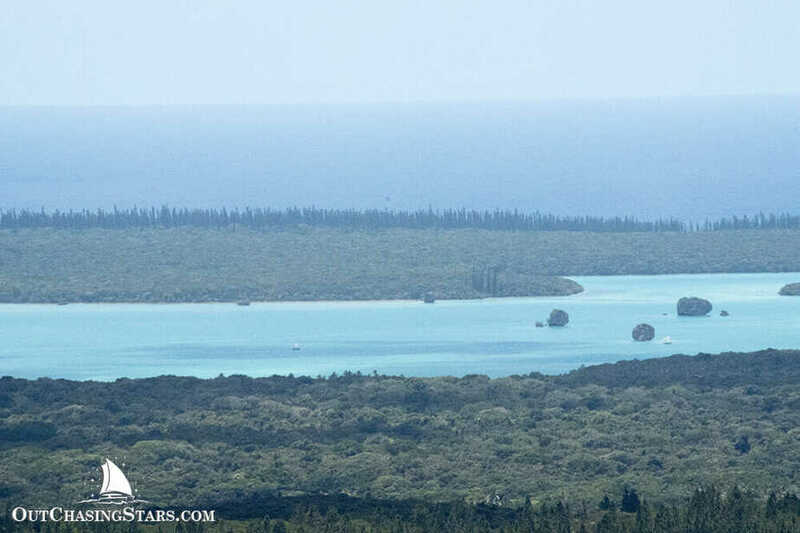 The Île des Pins, or Isle of Pines, is an island located in the archipelago of New Caledonia, a territory of France. 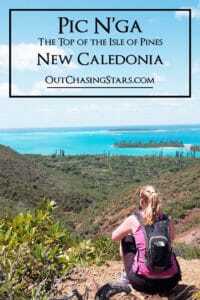 The capital of New Caledonia, Noumea, is on the main island, but the Isle of Pines is located two and a half hours via ferry from Noumea. 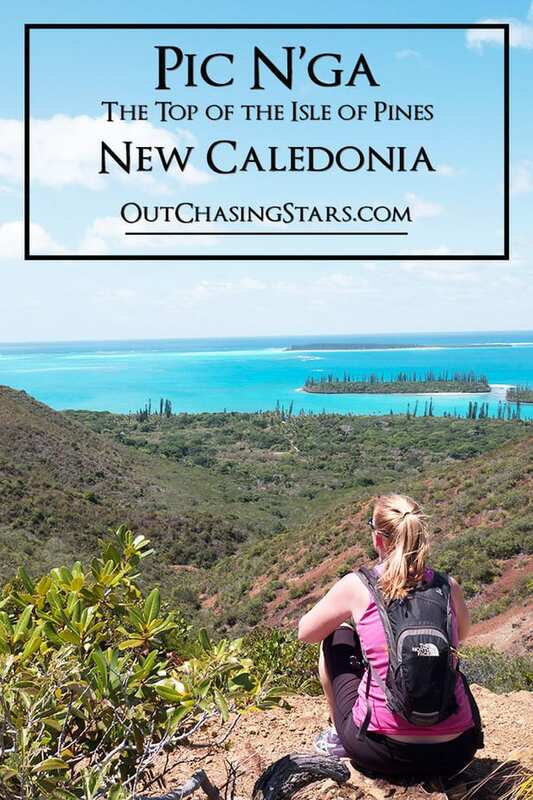 While Noumea is certainly small for a city, it has a stark contrast to the absolute natural beauty found in the rest of New Caledonia. 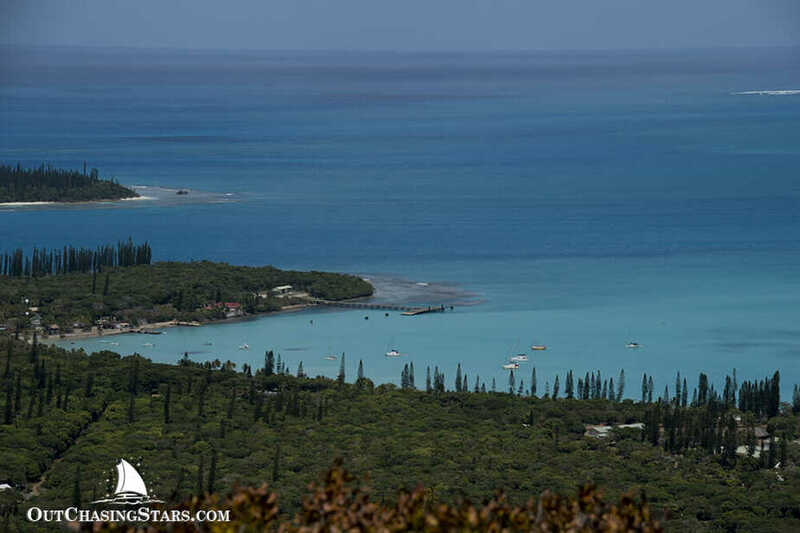 Île des Pins is a perfect example of that natural beauty, and there’s no better way to see it than from the top. 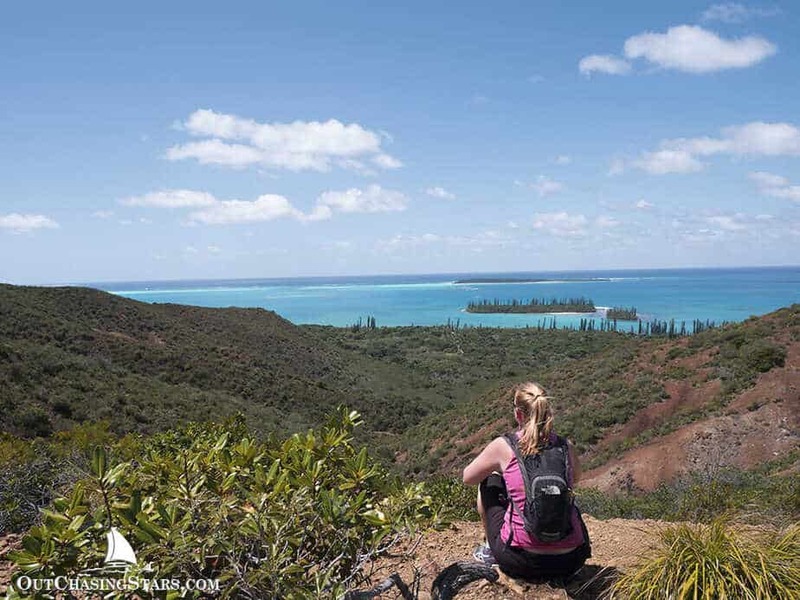 The highest point of the Isle of Pines is Pic N’ga, 260 meters above sea level, and the views from above are absolutely stunning, making it one of our top hikes ever. 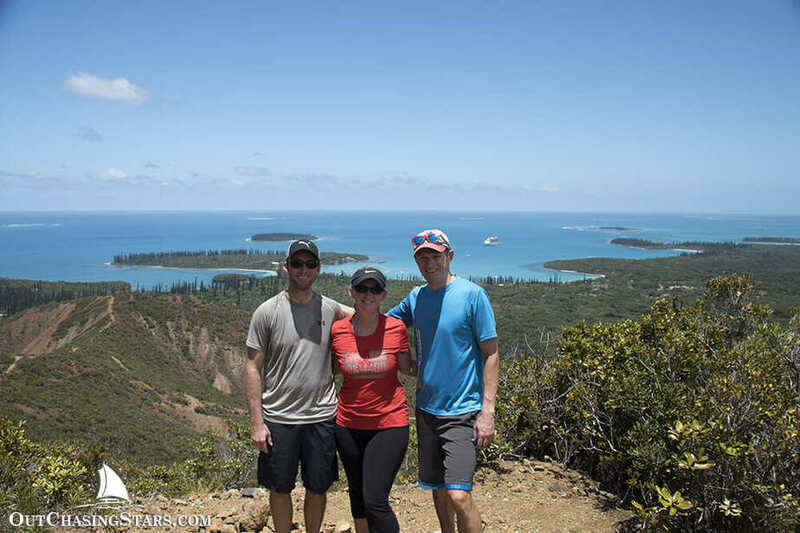 We actually did this hike twice – once with the crew of Fata Morgana (TEAM PAPARAZZI! WOOT!) and once with our friend Kyle. This hike takes about 2-3 hours so water is a must. Also, much of it is open to the sun, so cover up or apply sunscreen and bring more with you. Bring some small coins for the top! From the small strip of land where Kuto Bay and Kanumera Bay met, we followed the trail along Kanumera Beach. 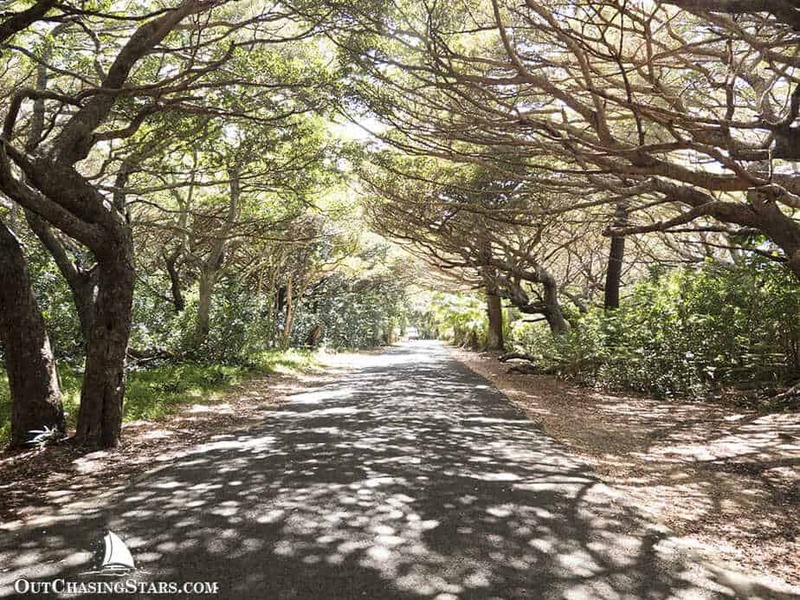 The street is beautifully lined with trees, providing shade. One of the roads is lined with these amazing trees. Once you come to a T, turn left, but then the road immediately splits and you want to take the right fork. You should see signs for Pic N’ga. After 450 meters, you’ll see the turnoff for the Pic N’ga parking lot. The path starts in a river bed, well protected from the sun. About 20 minutes into the walk, you’ll break out of the trees and the path becomes craggy and very arid. But don’t worry, the views make it totally worth it. Looking down on Kuto Bay. At the top of Pic N’ga! 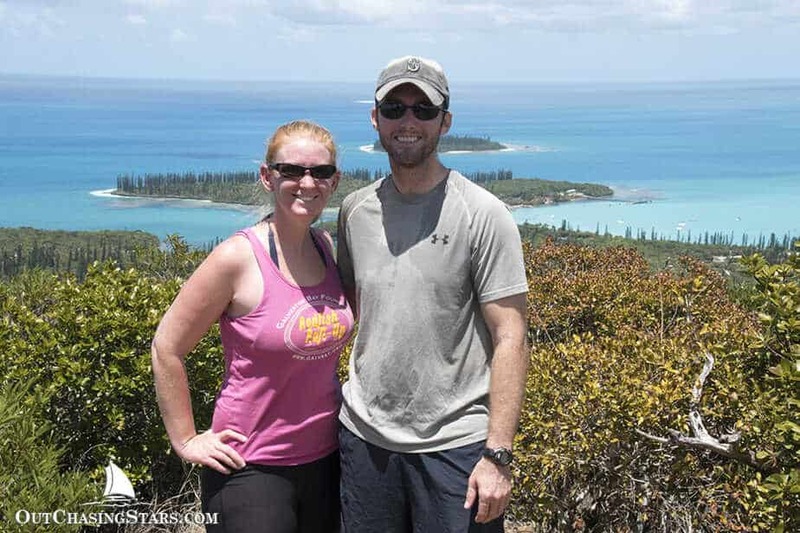 From the top of Pic N’ga you can look over Upi Bay. 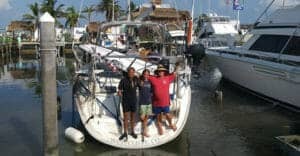 No motorized vessels are allowed in Upi Bay. Instead, you can ride a traditional pirogue. The view from the top. Lots more activity when the cruise ship is in port. There was massive drama going down from the hike. We got almost to the start of the trail and suddenly we were inundated by cruise ship guests. Apparently, there was a magnitude 7 earthquake in Mare, and a tsunami warning had been issued. The cruise ship passengers were directed to head for higher ground, despite the fact that they will totally ill-equipt for such a challenging hike. Additionally, the guests had no communication with the cruise ship. We decided it was better to be safe than sorry, and we headed up too. Thankfully David had brought his phone and a sim card, so he was able to check the Pacific Tsunami Warning website. There had been a warning released about an hour and a half prior. The original warning was for a general earthquake and tsunami. The second warning (shortly after) was for a tsunami of up to 1 meter. So, the threat was over, we didn’t feel anything from either the earthquake or tsunami. The poor cruise ship guests didn’t know what to do. The cruise ship shuttles were still going while their booked activities were all canceled. We finally left the cruise ship guests to fend for themselves – after passing the updates on.